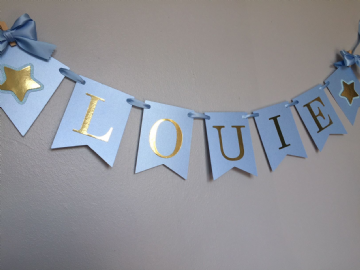 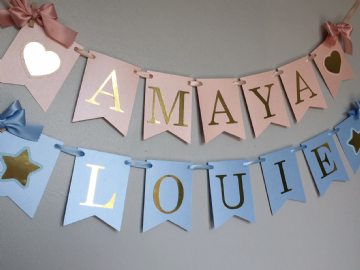 Personalised Baby's Christening bunting & garlands. 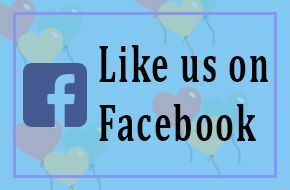 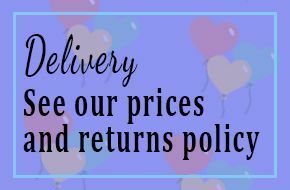 Handcrafted, personalised & made here at TJ's Balloons & Ribbons . 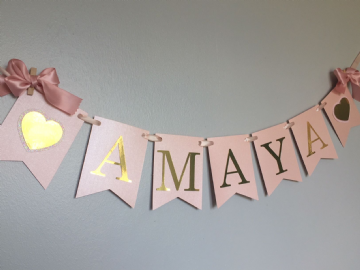 Christening Bunting - Pink & Gold Cross.